Please note that if you are local to Arizona, the list of healthcare positions we can recruit for is much more exhaustive. The positions listed above are the healthcare employee jobs that we can place throughout the United States. DMC has placed employees as quickly as the same day a request has been received, and normally our placement process takes under two weeks from the time we receive a request for a healthcare employee. 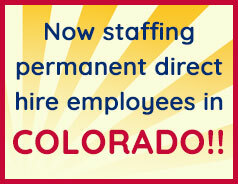 Do you have a healthcare employee staffing request? Are You Looking for a Healthcare Job? Submit Your Resume Here. We begin our process by speaking with the hiring agency to find out your specific needs for the position you are hiring for and the requirements the new employee needs to have. We also find out from you the environment within which the candidate will be working (remote, on-site, type of facility) and, most importantly, if you know what type of person is a good fit for your organization. As an example, some healthcare facilities need people who have flexible schedules and others are looking for people who have a demonstrated past with the demographic your facility primarily serves. You might not be a healthcare facility but want an employee that provides healthcare services, like a medical coder or you might need medical billing services; this is important for us to convey to the potential employee. You might need someone who is comfortable speaking and training physicians as part of their role as a medical coder. Or you might need someone who doesn’t mind working on their own with little team contact. All of these factors play into successful healthcare employee recruiting and placement. DMC believes in communicating directly with each candidate. This means before you speak with them, we speak with them by phone and, if possible, in person or face-to-face. After screening the candidate’s background, reviewing their resume, and speaking with them, we forward their information to you for you to conduct final interview(s) and hire the employee.